As we wait for some big reveals from BMW, such as the upcoming 3 Series, M8 and iX3, one Bavarian product has quietly been inching towards its official reveal. 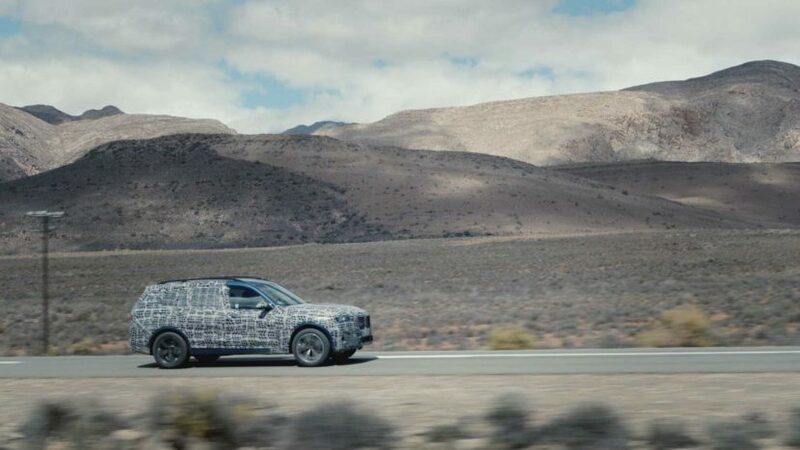 That car is the BMW X7, which is set to make its debut in just about a month. While we’ve all been focused on the new BMW Z4 M40i, which recently debuted at Pebble Beach, and the upcoming G20 3 Series, the BMW X7 seems to have been forgotten just a bit. However, its presence in BMW’s lineup will be hugely important for the brand moving forward, as it gives the Bavarians a high-end luxury SUV to compete with extremely popular cars like the Mercedes-Benz GLS-Class and Range Rover. According to this new report from The Drive, the BMW X7 will be making its official online debut sometime in October. No official date has been revealed but we suspect it will be after the Paris Motor Show which kicks off on October 2nd. The X7 will be first seen by customers during the LA Auto Show. The BMW X7 will be the brand’s first true, three-row SUV (the X5’s third row was optional and could only fit the tiniest of humans) and it will also be the brand’s luxury flagship SUV. It will pack 7 Series-plus levels of luxury but, in fact, it will actually be even more luxurious due to having BMW’s latest design language and technology, such as its latest iDrive and digital instrument panel. There’s been word of a BMW X7 M but that’s doubtful. The M Division hasn’t even made a car from the 7 Series sedan, never mind a three-row SUV. However, there will be a BMW X7 M50i and, as we’ve seen from the M850i, it should be a very powerful thing, indeed. Stay tuned.